The Egyptian star has been in fine form for the Reds this season, scoring 44 goals in all competitions. It has led to the 25-year-old being awarded the PFA Player of the Year, as well as the Writer’s Player of the Year and Premier League Player of the Year. He was also awarded the Golden Boot after breaking the record for most Premier League goals scored in a single season. And all this in his first year at Anfield, after moving from Roma for £37m in the summer. But his form has not gone unnoticed on the continent, with Real said to be sniffing around the star. Los Blancos are expected to shake up their squad in the summer as president Florentino Perez wants to inject some youthfulness into his attack. Gareth Bale could be sold to make funds for the move, along with Luke Modric, Raphael Varane and Dani Ceballos. But according to Don Balon, Jurgen Klopp has already identified who he wants to replace Salah - and he already plays for Real. 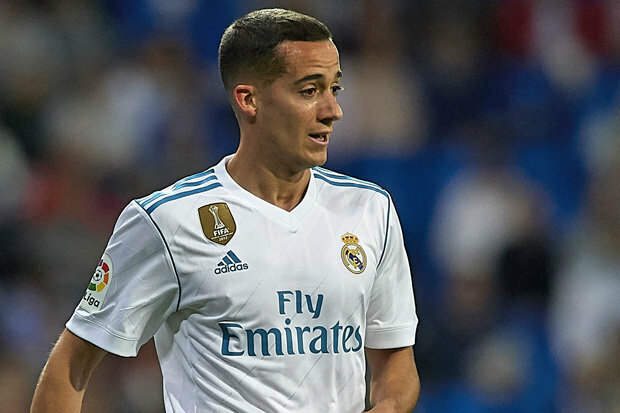 Lucas Vazquez has long been linked with a move to the Merseyside outfit, and is said to be interested in the first-team football Klopp could offer. At Real, he is seen more of as a squad player but has enjoyed more football this season thanks in part to Bale’s decline. But Marco Asensio, Isco and Cristiano Ronaldo all remain ahead of him in the pecking order. Philippe Coutinho is yet to be truly replaced at Anfield, but the funds from his £142m move to Barcelona could be used in other areas including goalkeeper and full-back.